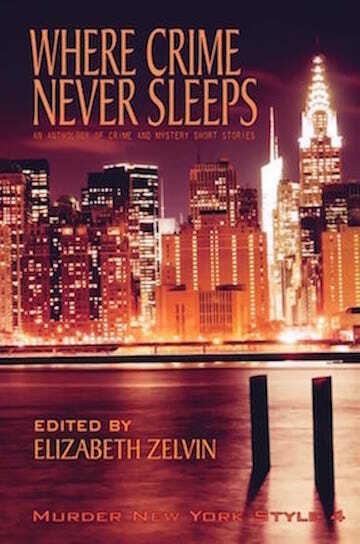 In September and October, The First Two Pages features posts by some of the authors who contributed stories to Where Crime Never Sleeps: Murder New York Style 4 (Level Best Books, September 2017), the fourth anthology of crime and mystery short stories by members of the New York/ Tri-State Chapter of Sisters in Crime. In addition to contributing “Death Will Finish Your Marathon,” I served as editor of the anthology, so the the New York theme—“ the infinite variety of New Yorkers and the uniqueness of New Yorkishness,” as I put it in the volume’s introduction—was as important to me as my protagonist and his sidekicks or the crime itself. Part of my agenda for the first two pages was to make New York City live and breathe. Thanks for sharing your thoughts on your first two pages, Liz. I look forward to reading the whole story now – picking up the books tonight. Liz : Love the idea of the Ancient Marathoner. As a jogger myself– I admit I never ran more than 3 times around the reservoir, but hey, that’s 4 1/2 miles, and I actually only did it once– the day after the Marathon when I got inspired! You certainly made us hear the voices and see the scene very quickly. Really enjoy the concept and the execution! Great post Liz. Can’t wait to read the whole story. Thanks for showing us how the sausage gets made! You zeroed in on a subset of quirky New Yorkers—Barbara, Bruce, Jimmy and the “beloved” Ancient Marathoner—and put them together in a two-page teaser that sings New York while avoiding “fuggetaboutit” stereotypes. Not easy to do in 200 pages, let alone two. Love the first couple of paragraphs – I look forward to the book itself! “If you’ve never been on Staten Island, you must be a real New Yorker. If that isn’t on a T-shirt, it ought to be. ” Amen! Great post! I agree–voice really IS so key, and you do it so well! I look forward to reading this story, and all of the other in the anthology! Thanks, Nina. As you know, I think your voice is hilarious. Readers will love your Ms Slutskaya, Stanislavski devotee and long-suffering high school drama teacher, in “An Actor Prepares” in the anthology. This is a really good post although I regret the early demise of the wonderfully titled Ancient Marathoner. Very best of luck with the novel and what good news that the First Pages Post will continue. Wonderful post, Liz! I’m a fan of your Bruce Kohler mysteries. You provide some great insight into the AA process. There is nothing as NYC as the marathon each fall –traveling through all 5 boroughs, and as a former distance runner, I know I will enjoy your story!